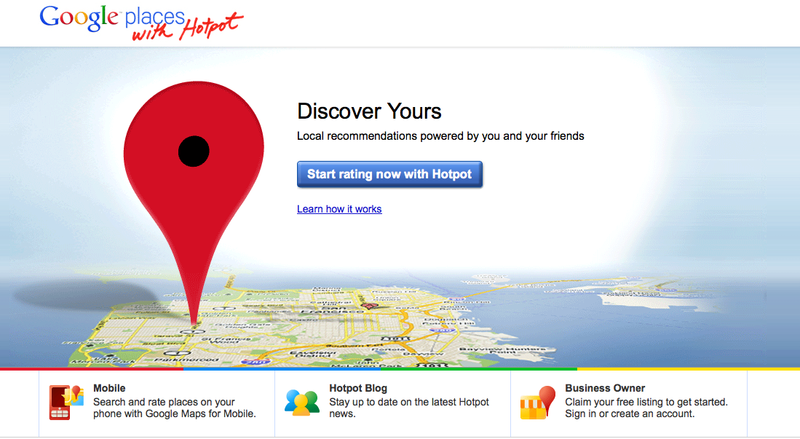 Google’s recent addition to its local search product lineup is called Google Places with Hotpot. Hotpot is a new local recommendation engine for Google Places, powered by you and your friends. According to Google Product manager Mat Balez, over 20% of Google search queries have local intent. As such, Google plans to integrate ratings and reviews from Hotpot users into its database of 50 million places. With enough user participation, Google foresees creating a more informed local search experience – one that turns all of its users contributions into a recommendation engine for all searchers looking for that special local place in Google. This entry was posted on November 30, 2010 at 3:13 pm and is filed under Google Places with Hotpot, Google Product Manager, Local Intent, Ratings, Reviews. You can follow any responses to this entry through the RSS 2.0 feed. You can leave a response, or trackback from your own site.